Judy listened nervously as her seven-year-old son and five-year-old niece began what she was sure would turn into an argument ending in tears. “I want to play spaceship,” said Peter. “I wanna play house!” said Carrie. “Spaceship!” “House!” “Spaceship!” “House!” Judy finally rose from her chair to referee the escalating conflict then heard Peter say, “Hey, we could have a kitchen on the spaceship!” “Okay,” Carrie responded, and the children played happily together the rest of the afternoon. Without adult intervention, Peter and Carrie came up with a creative solution to a difficult challenge by inventing a new way of playing together. It would be every parent’s dream if children consistently used creativity and innovation to resolve conflict like this. However, the reality is that most children need to learn how to reason creatively and envision multiple solutions to dilemmas. They also need sustained practice with these skills in different kinds of situations. But how, when so much of children’s attention in school is directed toward finding “right” answers and avoiding “wrong” ones, can a child learn and practice these important habits of mind? Where is there room in a child’s life for the messiness and risk-taking involved with creative thinking? Engagement in the arts offers a wonderful starting point for parents who want to develop and exercise their children’s creative problem-solving skills. It might seem counterintuitive to think of the arts as a place for critical thinking and problem solving, as we typically associate softer qualities such as appreciation of beauty, encouragement of personal expression, and nurturing talent with artistic pursuits. Elliot Eisner, a professor of education at Stanford University, offers a deeper understanding of the role of the arts in a child’s life: “The arts teach children that problems can have more than one solution and that questions can have more than one answer. The arts celebrate multiple perspectives. One of the large lessons kids can learn from practicing the arts is that there are many ways to see and interpret the world.” Dr. Eisner’s view that the arts can be about problem solving leads us away from the idea that children’s art is only about making aesthetically pleasing objects or providing entertainment, and gives a parents a way to help children be more innovative in very simple, yet powerful ways. Creative thinking and reasoning have been identified and highlighted as an essential twenty-first-century skill by many business, education, community and government leaders. As our children grow and develop, introducing them to the idea that the arts involve creative problem solving will teach them how to manage frustration, uncertainty and ambiguity with innovative ideas and solutions. Through the arts, our children can learn how to express their unique identities, while simultaneously developing habits of mind that will help them succeed anywhere, from the playground to the workplace. Katrin Oddleifson Robertson is a lecturer at the University of Michigan’s School of Education, and founder and creative director of Wholemindesign, an organization that supports using design intelligence in the learning process. Katrin studied art and art history at Oberlin College and education at Stanford University. She currently teaches preservice and practicing teachers how to incorporate the arts into their work in the classroom. The right and left sides of our brains control different functions. The concepts discussed in this article are true for most people, but the brains of some people will be different than these general findings. Handedness frequently indicates which hemisphere of the brain is dominant, with left-handed people having right-sided brain dominance. In fact, the right side of the brain usually controls the left side of the body. People with right-side brain dominance are thought to be more creative. They excel at pursuits that involve fantasy or creation, such as songwriting or art drawing. As children, they may have loved art or music classes. In contrast, people with left-side brain dominance deal with reality and have a hard time using their imaginations. According to an article published by the National Institute of Neurological Disorders and Stroke, the right brain maintains a vigilance and sends out warning signals in times of danger. 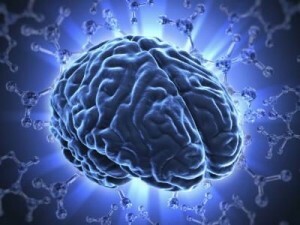 In contrast, the left brain analyzes the circumstances of a given situation and works logically to decide what to do. The right side of the brain seeks meaning in situations. Decisions tend to be based on gut feelings, intuition or emotion. This is because the right brain heads straight to the answer to a problem, instead of factually investigating it. In contrast, people with left-sided dominance consider facts and logic to make decisions and may miss what their intuition tells them. Right-sided brain-dominant students thrive in hands-on learning environments. They learn better by working in groups. According to Neuro Skills Centre, the right side of our brain is better able to recall and interpret things that are actually seen and done (versus things one reads about or is told about). In contrast, students with left-side brain dominance work better by listening to a lecture and working quietly on their own. According to a scientist at Middle Tennessee State University, the right side of the brain looks at the “big picture.” This is helpful with projects and problem-solving. An example of this advantage is the executive who must look at company decisions in terms of the big picture. In contrast, the left brain focuses on small pieces of subject matter. People with right-side brain dominance have a better sense of where one object is in relation to another. They also sense the position of their body which helps them is sports such as running hurdles. In contrast, the person with left-side brain dominance may have less physical coordination.